﻿ Brief Guide on How to Convert DVD to Windows Media Player with DVD to Windows Media Player Converter? 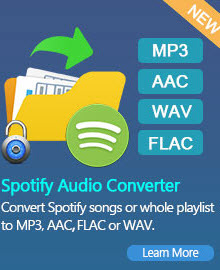 Convert DVD to Windows Media Player, DVD to AVI, DVD to MP4, DVD to MP3. How to Convert DVD to Windows Media Player? If you have a batch of DVD movies and want to watch them with Windows Media Player, what should you do? You cannot import DVD to Windows Media Player directly. Ripping and converting DVD to a Windows Media Player (WMP) format such as Windows Media Video (WMV) is a simple process that allows you to upload the videos on portable players and video-sharing and social websites. Windows Media Video (WMV) is a compressed video format developed by Microsoft that relies on many different codecs to playback video. Converting DVDs to this format can be accomplished using a DVD converter software. Any DVD Converter is such a DVD to Windows Media Player converter, which may convert DVD to WMV readable by Windows Media Player at super high speed and output quality. It allows you to adjust video resolution, frame rate, video bitrate, audio bitrate, audio channel and sample rate to keep the original quality for a perfect watching effect. If you want to import DVD to Windows Media Player, you have to convert DVD to Windows Media Player supported Video Format such as WMV with the DVD to Windows Media Player Converter. Follow these steps to learn how to convert DVD to Windows Media Player compatible video format, so that you can enjoy DVD movie with Windows Media Player. Step1: Insert your DVD disc to the DVD drive and then launch the program. Normally, the program rips files on DVD automatically. If it doesn't, click the Open DVD button to locate and rip DVD. The program checks the title with movie content automatically, so you just need to covert the checked one. Generally, the longest one is the movie content. Step 2: Choose WMV (Window media video format) as output format from the Profile list. You can customize video and audio settings (e.g. Video Codec, Video Bitrate, Audio Codec, Audio Bitrate, Audio Channel) in the DVD to Windows Media Player Converter to enhance the experience of enjoying output videos. In addition, before ripping DVD, unfold DVD Options in the right settings panel, set Audio Language to the one you would like the DVD movie's sound to play in. You can also set subtitle language and angle. If you don't like the DVD to be separated as titles, click Edit >> Options >> DVD and check. Step 3: Click Convert button to start ripping and converting DVD to WMV format. Once the conversion is finished, you can click "Output Folder" button to get the output files. Now you can import this readable WMV video into Windows Media Player. Just have fun! Clip video into many segments and merge several videos into one file; Tune saturation, contrast, brightness; flip and rotate video into any side view as you like; Customize the output settings such as video frame size, video bitrate, video framerate, audio bitrate, sample rate, etc. 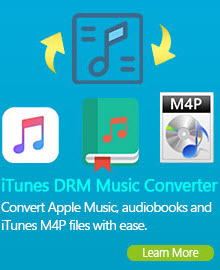 Not only rip and convert DVD to Windows Media Player video format WMV, but also convert DVD to AVI, DVD to MP3, DVD to 3GP, DVD to MPG for portable media players like iPod, iPhone, Zune, Zune HD, PSP, PS3, xBox 360, Archos, Sansa View, iRiver PMP, wii, PDA, Creative Zen, and mobile phones such as Nokia N-series, Blackberry and Google Nexus One. The DVD to Windows Media Player Converter allows you to download YouTube videos and convert them to DVD format and many other video and audio formats in lightning speed. This program also supports YouTube HD video files. There are many easy and simple ways to download YouTube Videos. Copy and paste YouTube video URLs on the window of the converter to start downloading. This "download + convert" software offers you the easiest and fastest way to watch, download and transfer videos to your multimedia device! Any DVD Converter can not only rip DVD to Windows Media Player video format, but also can burn Windows Media Player video format and many other video formats to DVD. This DVD to Windows Media Player Converter could burn your favorite video clips of many video formats to DVD with DVD menu so that you can play them on home DVD player sharing with your friends and family members. Just with a few clicks you can easily and quickly burn your desired videos to a playable DVD. Just enjoy it.